The hits keep on coming for Tessie Marie Harlow. She has never known easy. Her mom is disabled, her dad long gone, and she is a single mom raising a rambunctious little boy who is her world. Finally giving up on a future with Rex, Tessie comes to terms with her reality. In the darkest hour of her merciless ride through life, she’s saved by a quiet, laid-back Hellion. Andy “Shooter” Jenkins is a former Army Green Beret. He has always been around, yet he has never been one to stand out in a crowd and he’s never loud. He is a mystery. A chance encounter brings him to her rescue, not once but twice. 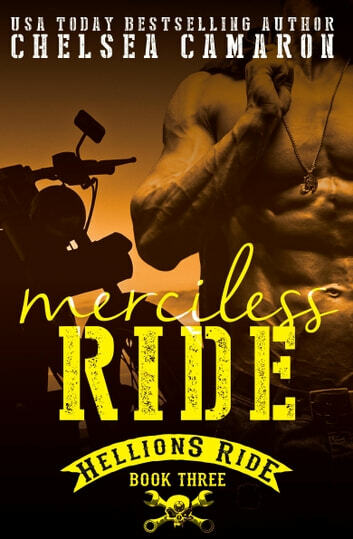 When the Desert Ghosts motorcycle club bring their brand of chaos to Tessie’s world, Shooter is forced into her day-to-day life. Secrets are revealed. Lines are crossed as a war between the two clubs begins. Two brothers find themselves at odds at a time when they need to work as one. Standalone, but don't miss out on this series!! I'm having so much fun reading this series that I'm finding it difficult to stop between books to write the reviews! I have to make myself though, because they're all so different and I don't want to mix anything up. As all of Chelsea Camaron's books, this one is very well written. The characters are again, people you feel like you know. I loved getting to know Shooter and Tessie better! There are some secrets that come out in this one. One I had already predicted ;) I'm not telling though. I'm so looking forward to everything else this series will bring! 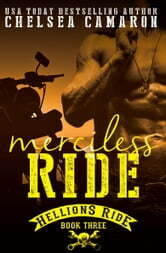 If you love Bikers, you need to read this series!